At the end of January 2018, Type A Machines announced that it was closing its doors for good. DesignBox3D CEO Preet Jesrani shares his perspective on what happened, having worked closely with the company for years. I first contacted Type A Machines in 2014, having read some good reviews of their large format desktop 3D printer, the Series 1. At 1 cubic foot, the Series 1 offered serious build volume for the money. Back then the printer was priced at $2,295 if memory serves me correctly. After a lengthy email exchange and a few calls, I ordered our demo unit for DesignBox3D. It arrived with 4 spools of an unknown pink PLA and we set to work getting to know the machine. That first demo unit was a disaster for us. Main problems were related to the hot-end they were using at the time – sourced from a 3D printer manufacturer in Ohio, this was simply not a good fit for a machine that was otherwise extremely well designed. After several email exchanges with tech support, I emailed Espen Sivertsen (Type A CEO) and received an email and then a call back. Espen had a new Series 1 shipped out to me immediately, fitted with the new, all metal G2 extruder that became a core component of the upgraded Series 1’s reliability. 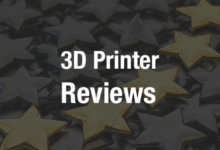 There were several product iterations along the way and DesignBox3D sold so many Series 1s in 2015 and 2016 that we became their best performing channel partner. Along the way, we also became fast friends. We worked closely together and I got to know a majority of the team at Type A Machines. The company was growing and there was a great deal of interest in the Series 1 platform from industry and clients in higher education. A crucial component to ensuring continued success at this stage for any growing company is liquidity and in this area, Type A had a problem. Given that the printers were all actually assembled in their main office/factory from mostly (with the exception of electronics and linear rails, belts, etc.) locally sourced parts, the cost of each machine was too high in relation to the MSRP. Type A revised their pricing for the Series 1 with the G2 extruder to around $2,799 and then again to $3,300 with the launch of the Series 1 PRO. We loved the printer – a solid and reliable workhorse, it became our benchmark machine for evaluating both new materials and other printers we were considering offering. Given the relationship we had with Type A, we did not experience too many hiccups in terms of lead times on orders placed with them and almost always had our needs fulfilled with minimal delay (there were exceptions of course, but none worth noting). Lead times continued to be high for printers being ordered by end users and there never seemed to be enough cash on hand to order parts to produce machines and make payroll. I still recall a couple of calls quite well – one was to place an order for stock if I needed any as soon as possible or to buy a set of upgrades/parts in order to help make payroll that was due in a few days. We were happy to oblige whenever we could and those “make or break” moments passed. At some point in 2016, a new CMO was brought on to join the team and the MSRP was once again raised to help with the continuing cash flow problems. I strongly advocated against such a dramatic increase – the new pricing was $4,095 (a 33% hike) for a machine that didn’t change at all. Over the course of 2016, Type A moved to contract manufacturing. A company in California took over the manufacturing function and Type A then immediately reduced head count, cutting all manufacturing and assembly staff. Many friends left the company – Espen and Stefani, followed by many others we had worked closely with over the course of the past two years. Type A Sales dropped like a stone and having seen the problem unfolding in real time, we were ready with a few new additions to our product offerings and did not notice any appreciable hiccup in our operations at DesignBox3D. In December 2016, Type A went through another round of layoffs and while actual headcount was not officially disclosed at that time, I believe that they were down to C-Level staff and some marketing staff. Since manufacturing had already been outsourced, next on the chopping block was R&D staff. Developers responsible for Type A’s ground-breaking version of Cura were let go at the same time as key support personnel. By 2017, Type A Machines had moved from their spacious offices in San Leandro to a second location with the remainder of their staff. A good friend that had overseen manufacturing worked feverishly to add new features and upgrades to a now aging, but still solid Series 1 Pro – auto bed leveling, an upgraded heated bed, and a reseller designed enclosure as well. It was too late. Features and functionality of the core platform were no longer a value and competitors had pulled far ahead of the Series 1, which was no longer competitive or current. A lack of funding had prevented further development of new printers and any meaningful upgrades to the existing Series 1 Pro, which was still being produced by their contract manufacturer. Type A had stalled. 2017 interactions with the company amounted to nothing more than a series of conference calls and emailed spreadsheets detailing variants of the same machine at different price points and promises of a new machine that was promised in beta form by Q1 2018. Did Type A Machines have promise? It did. Did they make a great product? The Series 1 Pro was and still is a great machine. First and foremost, there was never enough funding to truly invest in R&D and marketing. The fatal blow came when absent all the critical ingredients for continued success, the marketing function was allowed to make critical decisions at the company. This is one partner that we will truly miss. 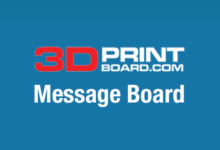 Preet Jesrani is the Founder and CEO of Ohio-based 3D printer reseller and distributor DesignBox3D.